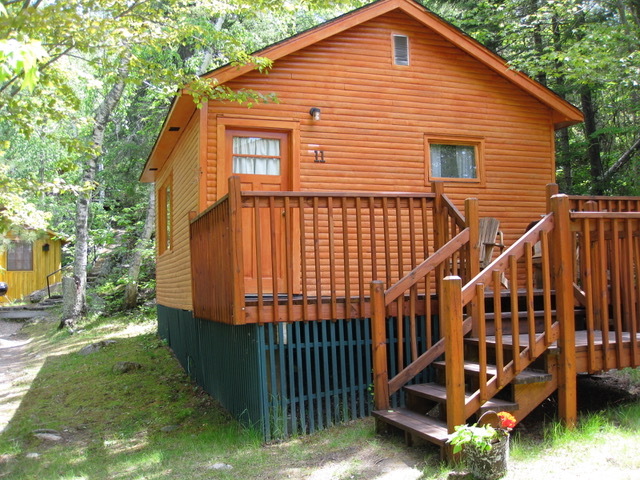 This is a one-bedroom cabin that was originally constructed in the 1950's. 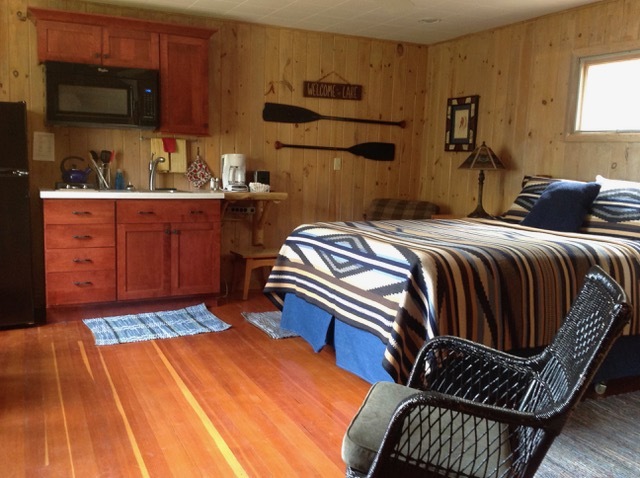 Set back from the lake, approximately 200' away, a generous deck is the entrance to the cabin. Consisting of one large room you will find a comfortable queen-size bed, sitting and dining area. Equipped with a kitchen offering a gas cooktop stove (two burners), full size refrigerator/freezer, coffeemaker and microwave-convection oven. Includes basic dishes, pots and pans, Coffeemaker, toaster, utensils and wine glasses for two guests. A charcoal barbecue is available outside the cabin. The bathroom has a lovely walk-in shower. Picture window views look down to the lake. The 2019 rate is $ 243.00 per day or $ 1 546.00 per week.